Preparations to send a large group of Syrian refugees home from Lebanon are underway, Russia’s National Defence Control Centre Head Col. Gen. Mikhail Mizintsev said on Wednesday. “Their number can reach up to 7,000 people,’’ he said at a joint meeting of Russian and Syrian interdepartmental coordination centres on the return of refugees to Syria. Mizintsev also praised the work of the Lebanese authorities, but noted the non-constructive position of “many Western countries’’ that led to practically no funding for this process on the part of the international community. “International humanitarian organisations are actively involved in the work to assist Syrian refugees, but they are forced to act taking into account the views of donor countries that seek to use the situation with migrants to achieve their own domestic and foreign policy goals,’’ he stressed. Mizintsev noted that more than 16 billion dollars was spent annually to support millions of Syrian refugees in Europe, while to finance the entire process of return of 1.7 million refugees to Syria, only 12 billion dollars is needed to be allocated in three years. Syria is gradually recovering from a seven-year conflict. Russia actively supports the voluntary return of refugees, and assists the Syrian government in rebuilding infrastructure and providing humanitarian aid. 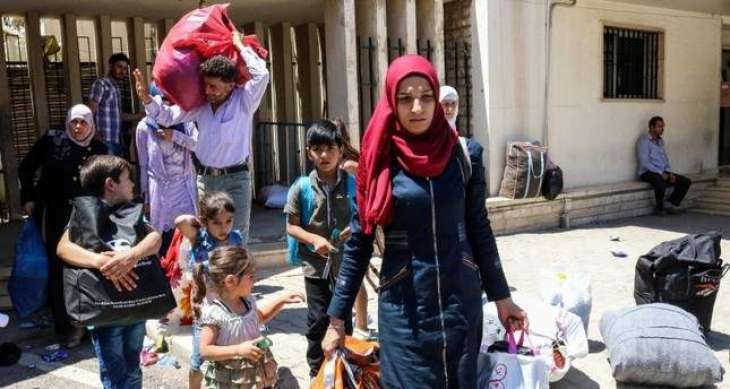 According to the Russian Defence Ministry’s estimates, some 300,000 Syrians have returned to the country from abroad over the past 2.5 years, while more than 1.7 million Syrian refugees in nine countries have expressed their desire to repatriate.